When asked what my favourite foods are, my usual answers are “cheese” and “fresh bread with really good butter.” Understandably, Cowichan Bay is one of my favourite places to go, because not only is it charm-your-pants-off-good-looking, but it’s also home to a local cheese shop and bread bakery. 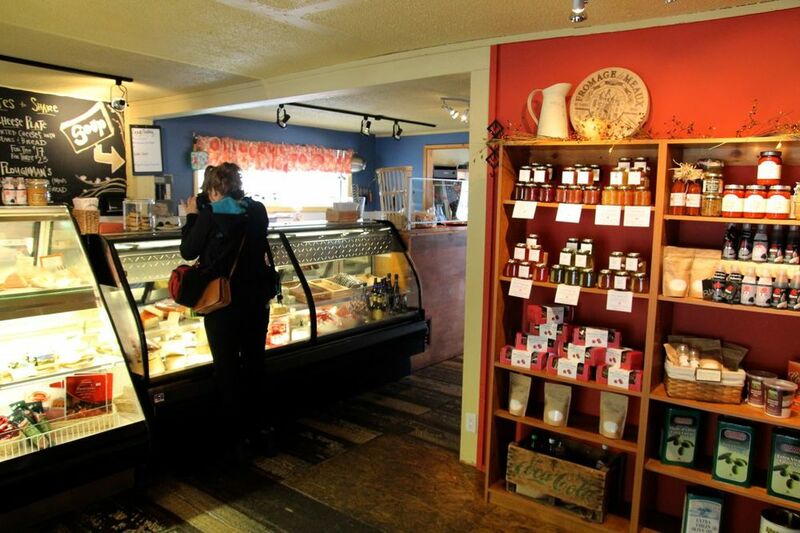 Hilary’s Cheese is family-run, with a café serving lunch and display cases filled with international and local cheeses, including their own. 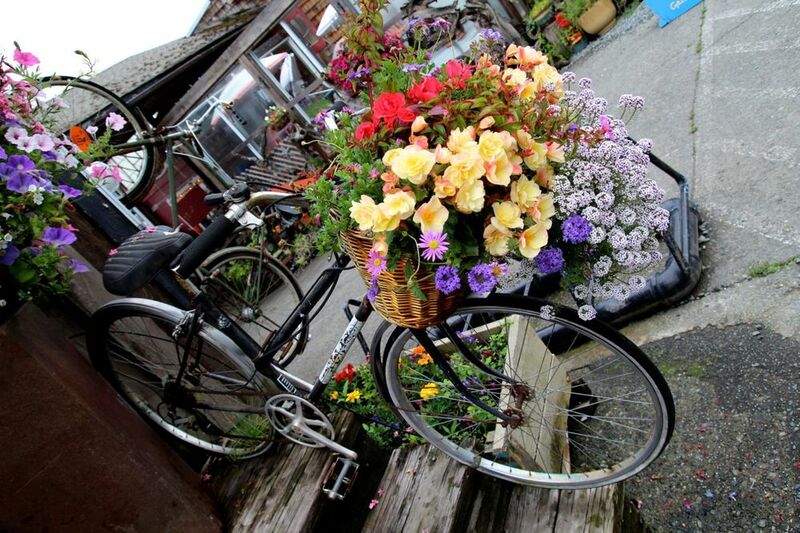 It's made on their nearby farm, one of many in the picturesque Cowichan Valley. We enjoyed a roast beef with Hilary's Yoo Bou Blue sandwich, and a capicollo grilled cheese with garlic scape aioli. If you’ve never added pureed garlic scapes to your aioli, you should. Next door to Hilary’s is True Grain Bread. 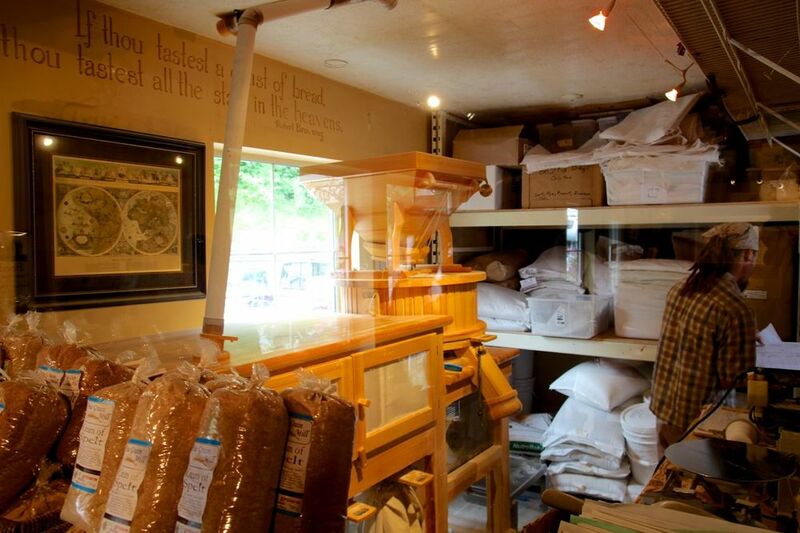 They utilize locally grown grains that are milled in-house (including Red Fife) for their loaves, and also sell bags of the freshly-milled flour. Mounted on the wall is a map of Cowichan Bay's Cittaslow Community, a designation by Slow Food International highlighting the predominance of locally grown/produced foods available in the area. It’s a truly remarkable place. Here are some more photos from our afternoon there, and we’d highly recommend visiting the area if you can. Especially, if you love cheese and bread as much as I do.